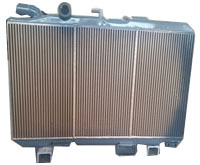 LEEL is a leading AAR (American Association of Railroads) manufacturer, supplier & exporter of Mechanically Bonded ( Copper Brass ) radiators for diesel locomotives. Leveraging our industry expertise, in depth product knowledge & advanced research and development facilities we are able to deliver high quality and cost effective solutions to our customers. 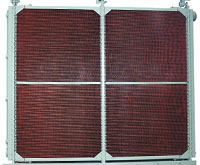 Higher levels of heat dissipation & optimum performance to weight ratio of our radiators enable better heat transfer efficiencies and reduce manufacturing costs. Our Aluminum offering includes Vacuum Brazed Heat Exchangers and Oil Coolers which are manufactured through a state of the art Vaccum brazing furnace from a US supplier. Our products also deliver higher structural strength with enhanced corrosion resistance for a variety of applications.